Teruel offers over 125 exhibition centers and museums, and the majority of them are aimed to enhance the cultural wealth and heritage in this province. As you can imagine, they are all different: from those dedicated to specific aspects about popular culture in Teruel, like folklore, -as Centro de Interpretación Pastor in Andorra or the Museo del Dance in Visiedo-or even o those who are responsible for ancient customs and traditions, as the Centro de la Cultura Popular in Albalate del Arzobispo or the Ethnographic Museum in Nogueruelas. The Provincial Museum is settled in a medieval palace in Teruel, where many important expressions of cultural heritage in the province are showed. Among its permanent art exhibitions, two collections must be pointed out: the archaeological exhibition with remains recovered throughout the province, and the ethnographic Collection with many other items on popular culture in Teruel. The Museum also hosts supplementary seasonal exhibitions, having to do with plastic arts photography or sculpture. This center in honor of a famous aragonese film director was opened in February 2000 and it is placed in Calanda, his birthplace. The main topics are Luis Buñuel’s life and work, so the center is based on a precise design, where the use oftechnology and multimedia displays becomes relevant. Its target is to immerse the visitor in the director’s particular universe. As well as its permanent exhibitions, the Center organizes a full program addressed to the audience and to artists dealing with different disciplines. That is the reason why it is becoming a cultural national referent. This is a monographic museum about the culture of saffron, one of the typical crops of the lands of Jiloca. 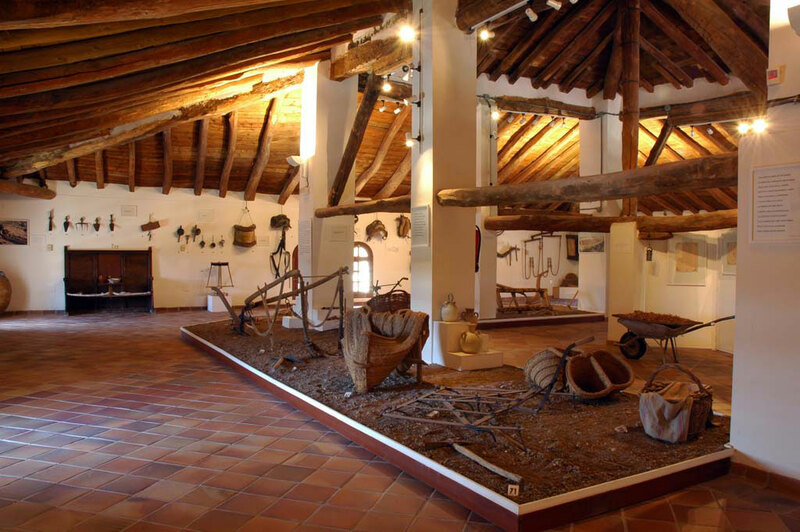 This museum inMonreal del Campo exhibits over 150 original pieces which were donated by the inhabitants of the region; there we can find some agricultural implements and tools used in the growing and processing of this precious spice. The center tries to explain, by means of various exhibition resources, the saffron social and economic impact in the region in the last few decades. Visiting this Rural School Museum in Alcorisa we go back in time to discover, or perhaps to remember, the mid-50’s rural schools . It has been entirely composed by original supplies, recovered by the cultural association “Amigos de la Escuela” and thanks to the generosity of non-profit contributors. 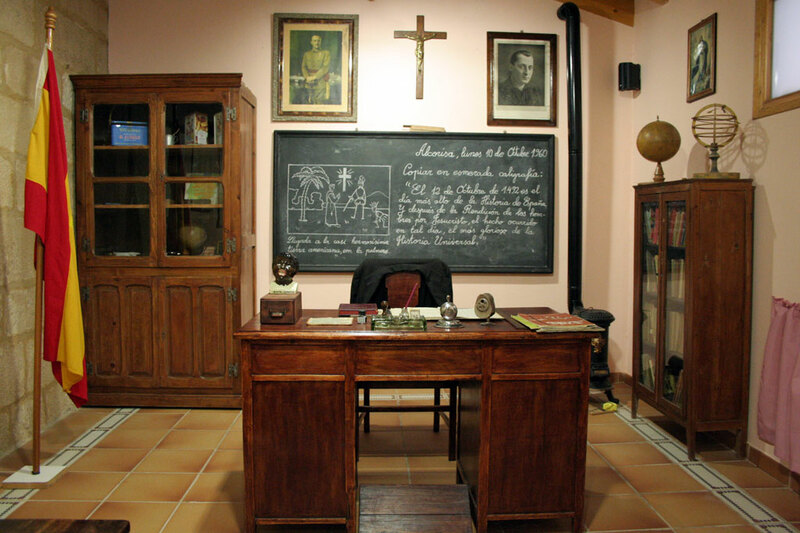 You can have a look at old textbooks, test your handwriting or even have a picture with a typical school uniform, of course, with the map of Spain hanging in the background. “Espacios y Tesoros” is an innovative cultural proposal led by the Fundación Santa Maria in Albarracin where the rich heritage of Albarracin is showed to the audience. On the one hand Espacios refers to the surrounding, to the architectural wealth of monuments like the tower called Torre de Doña Blanca, the Episcopal Palace, the Cathedral or the Castle and of course, to the whole town of Albarracín. On the other hand, Tesoros or treasures is just a reference to the content, an impressive heritage as outlined in each of the exhibition centers which are part of this project. As a whole, both concepts allow the visitor to understand and admire all the unique historical and cultural heritage of this exceptional place. The tourism in Fundación Santa Maria is implemented by an Information Center, where visitors are offered guided tours around both the city and the museums and exhibition centers making up the initiative Espacios y Tesoros. It is a recommendable activity for the whole family and is one of the newest museum initiatives that can be found not only around the province of Teruel, but also in the rest of Aragon. 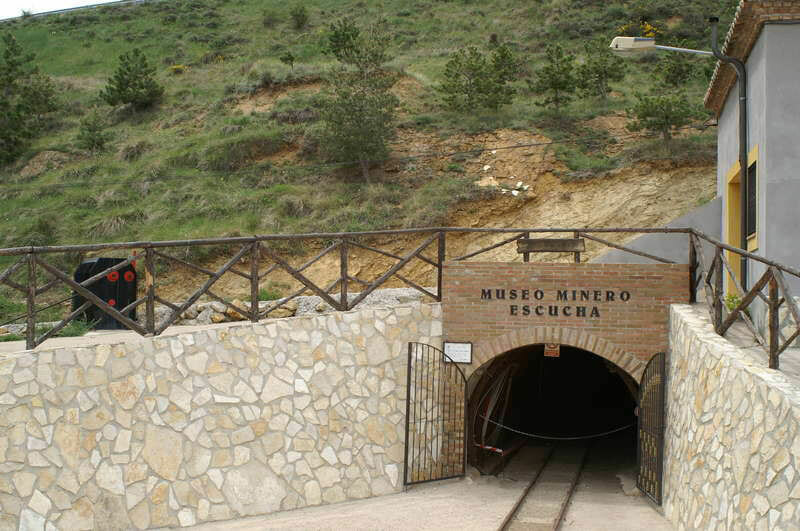 This is an old mine named “Se verá” (meaning “you will see” in Spanish) which was recovered as museum and interpretation center. Visitors can go into a real coal mine 200 meters underground, travel along the tunnels in a dump car as miners used to do to get the minerals, or perhaps, admire machinery and the different tools for mining.